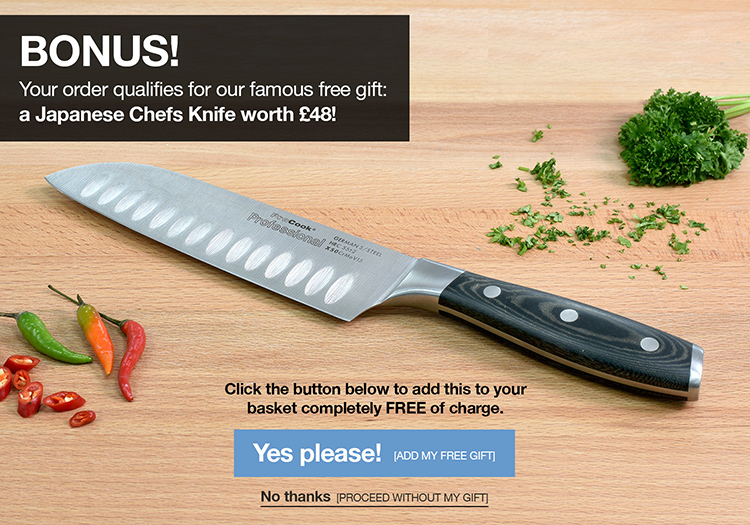 The ProCook Damascus X100 2 piece set includes a 15cm and 20cm chefs knife. Excellent knifes. Very sharp, weight is good and the handle is comfortable. Would recommend although it is very expensive.